Well, this is very cool news indeed: Astronomers have released a new catalog of exoplanets—alien planets orbiting other stars— detected by the Kepler spacecraft, and the tally now totals 2335 verified planets, with 1700 more waiting to be confirmed. Of these, 30 are confirmed to be roughly Earth-sized and orbiting in their stars’ habitable zones, with 20 more awaiting confirmation! That’s amazing. The new results add 219 new exoplanet candidates, 10 of which are Earth-ish. Now, that’s the flashy news (which I’ll explain in a sec). But the more interesting scientific news is that they found a definite paucity of planets in a size range between about 1.5 and 2.5 times Earth’s diameter. Stars seem to love making planets up to about that size, then skip to about 2.5 times our size. Why? And why don’t we see planets like that in our solar system? OK, before I get to that, let’s do the whole catch-you-up-with-what’s-what thing. Kepler is a space-based observatory designed to stare at one spot in the sky that has about 150,000 stars in it. The idea is that if a star has planets, and the planet’s orbit is seen edge-on from Earth, then whenever the planet passes directly in front of the star we’ll see a dip in the star’s brightness. It’s like a mini-eclipse, called a transit. It takes time to actually find planets, because you have to wait not just for a planet to transit, but for it to happen again, and then again a third time. One dip might be due to all sorts of issues, such as starspots (like sunspots, but on other stars), or other stars in the field of view influencing the brightness results. A second dip establishes what might be an exoplanet’s year (one dip, then another one a full orbit later), but the real confidence comes when a third one is seen after the second with a consistent timing (in other words, another exoplanet orbital period later). Then you can be confident you’ve found a planet. Over time, catalogs have been released with current Kepler data, and this is the eighth such catalog. This new one encompasses the first four years of the mission, and the astronomers completely reprocessed all the data, including using new and more sophisticated techniques developed in the time since the first such release. There are two important aspects of the data. One is the period between dips, which tells you the length of the planet’s year as well as its distance from the star (Kepler is named after Johannes Kepler, an astronomer who figured out that the orbital period of a solar system planet is mathematically related to its distance from the Sun, and which can be generalized for a planet orbiting any star). It also tells you roughly how hot the planet is! You have to know the distance, plus the temperature and size of the star as well; a cooler star like a red dwarf can have a planet orbiting it closer than Mercury orbits the Sun, yet be cooler than Earth. The other aspect is the fraction of starlight blocked. That tells you the planet’s size, assuming you know the star’s size, which in most cases we do from observations using the Keck observatory. Going over all the data, the astronomers found 219 new possible exoplanets (before confirmation they’re classified as candidates). Of these, 10 are not only about the same size as Earth, but also orbit at the right distance from their host star to be temperate, in what astronomers call the habitable zone. It’s roughly equivalent to the temperature range needed to have liquid water in its surface, as we do here on good ol’ Earth. That’s not the only thing needed for life to arise, but it’s a good place to start. This new catalog brings the total known Earth-sized planets orbiting in the habitable zone to 30. That’s a lot. I know it doesn’t sound like much out of 150,000 stars, but consider that not all planets orbit their stars edge-on as seen from Earth. 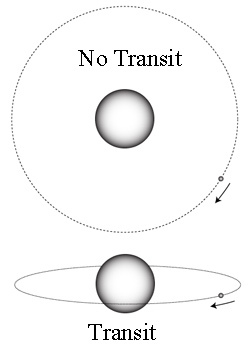 Most are at an angle, so they miss their stars from our point of view, and we don’t see a transit. Statistically speaking, we miss at least 99% of them! So really in that patch of sky Kepler watches there are probably 3000 Earth-sized planets in their habitable zones. But wait, there’s more: There are hundreds of billions of stars in the galaxy. Extrapolating naively, that means there are billions of such planets in the Milky Way. But this means something else, too. When you find one object, it’s hard to know much about the class of objects it belongs to. You only have one example! If you find a weird lizard in the jungle, that’s interesting, but it only shows you that such lizards exist. Are there bigger ones? Smaller? How many are there? How do they eat, where do they live, how do they relate to other lizards? Same with planets. Finding one is great. Exoplanets exist! That’s huge news. But the science really starts when we find more. Lots more. Thousands more. That’s where the exoplanetary zoology starts. And that’s where we are now. With thousands of exoplanets in the Kepler catalog, trends start to show themselves. Lots of planets found are gas giants like Jupiter, some even much more massive. Lots of planets the size of Earth have been found, obviously, and lots that are somewhat smaller than Neptune. This new catalog shows something very odd, though: The astronomers found lots of planets that are about the same size as Earth, up to about 1.5 times our diameter. But then the number suddenly drops. Once you get to planets somewhat bigger than twice the size of Earth the numbers pick up again. This was seen in the older data, but now the data are complete enough to show that this isn’t a glitch. It’s statistically significant; that is, real. That’s very interesting. At the lower end we call those planets super-Earths, and at the upper size they’re mini-Neptunes (Neptune is about 4 times wider than Earth). In fact, by number mini-Neptunes are the most common kind of planet found in the Kepler sample! That’s interesting too. We don’t have a super-Earth or a mini-Neptune in our own solar system. For some reason, the most common planets in the galaxy are not found around our Sun. That is telling us something important, though it’s not clear what it is. We can guess, though. Planets form from a swirling disk of material around a young star called the protoplanetary disk. Details are complicated, but in general small grains form first, then grow bigger as they collide with and stick to other grains. Over millions of years these swell to a kilometer across or so (we call these planetesimals), and these collide to form much larger protoplanets, a thousand or so kilometers wide. These become the cores of true planets like Earth. If material runs out by the time the protoplanet reaches Earth size, then it stops growing. But if there’s still stuff out there, it can grow bigger. Once it reaches about 1.5 times the Earth’s diameter (which would give it well over 3 times the Earth’s mass*) the gravity gets strong enough to start to hold on to lighter gases like hydrogen and helium. This is a watershed moment for the young planet, because there’s a lot of that gas around. It can grow much larger, “jumping the gap” to become a mini-Neptune (at the least; it could grow to become a true gas giant like Saturn or Jupiter as well, but these are less common by far than mini-Neptunes). At least, that’s the current thinking. But if it’s true, why aren’t there any of these super-Earths or mini-Neptunes here, orbiting the Sun? That’s not understood. Hypotheses abound, and one deals with Jupiter. As it grew large, Jupiter would have interacted with the protoplanetary disk, migrating toward the Sun as it drew in material from the disk. It stirred up the disk there, and any protoplanets forming would have smashed into each other, sending debris flying. Much of that was flung out of the inner solar system, but what remained formed the planets we see now. Since there was less material, the second-generation planets we have in the inner solar system are smaller. After that, gravitational interactions with Saturn drew Jupiter back out, and we have the system we see now. That may or not be correct; astronomers are still in the early stages of figuring this out! Just looking at our own solar system, it’s hard to know what’s what. Comparing and contrasting is an excellent way to tease out the mysterious origins and growing pains of our local system, and the good news is we now have a lot of other planetary systems with which to compare ours. This is a not-so-gentle reminder of one of the most wonderful aspects of astronomy: When we peer out in to the Universe, gazing and studying the objects we find trillions upon trillions of kilometers away, we find that we understand our own home better. If that were the only reason we did science, then that alone would be worth it. * The mass of a planet depends on its volume, and the volume goes up as the cube of the radius. So a planet 1.5 times wider than Earth has 1.5 x 1.5 x 1.5 = 3.4 the Earth’s mass. This is a rough estimate, but close enough. The point is, the gravity is a lot stronger.